You have the opportunity to avail 10% discount on the registration fee for TechEd Middle East, the premier technical education event providing the most comprehensive technical training on Microsoft’s suite of products, technologies, solutions and services. being held March 8-10 in Dubai, UAE. To avail the discount, use the following code during registration. This code is valid for 10 registrations only, so better hurry. Questions? Post a comment to this post. Terms & conditions apply. I realized that the video of my TechEd 2010 session on Forefront Unified Access Gateway and DirectAccess is available online. You can watch it on the TechEd website. As of now the video doesn’t seem to load, so there is the option to download the WMV video. TechEd session: Your evaluation is important! 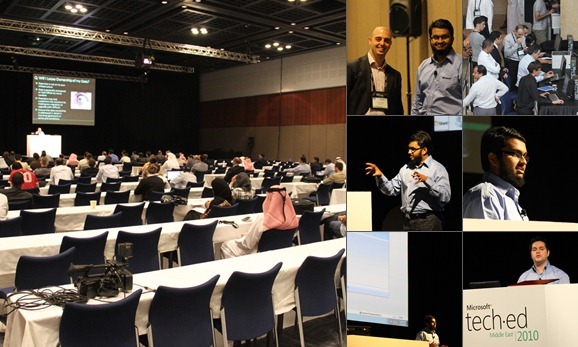 I would like to thank those of you that attended my session on Microsoft Forefront Unified Access Gateway and DirectAccess yesterday at TechEd Middle East 2010. If you heard about this blog from my session, please take a moment to subscribe by email or RSS. I cannot stress enough on how important your session evaluations are. If you attended my session, please take a moment to complete the evaluation online. I would like to thank those who have already completed the feedback for giving me high ratings. It is your support that keeps me going. With all respect, let me also request the only one person who rated me low to re-evaluate the session open-mindedly:-). Honest feedback in the evaluation is important to me. 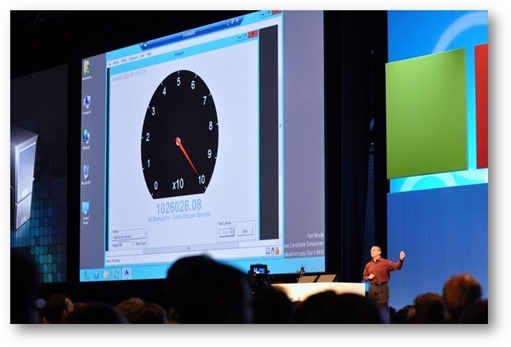 The presentation slide deck is now available for download on the TechEd website. You will have to login with your TechEd username and password. I have tried my best to answer all questions onsite. However, if you still have questions based on my session, feel free to post them below as a comment to this post. I will try my best to have them answered. PS: Pictures will be uploaded soon. Countdown to TechEd – 4 days to go. 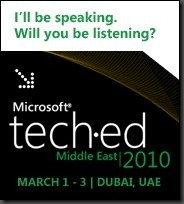 T minus 4 for the biggest tech event in Dubai — TechEd Middle East 2010. Here’s a reminder of the session that I will be speaking at. Hope to see you there! There are no prerequisite sessions that you need to attend before my session. However, if you have an interest in understanding the darkest depths of DirectAccess and IPv6, I recommend that you also attend the following sessions by John Craddock. SVR401: DirectAccess Technical Drilldown, Part 1 of 2: IPv6 and transition technologies. SVR402: DirectAccess Technical Drilldown, Part 2 of 2: Putting it all together. I will be recapping some of the content covered in these sessions, but as my session focuses on Unified Access Gateway, I will not go in to the depths of how DirectAccess works. I will be available at the Technical Learning Centre at these times to attend to your questions around Microsoft Forefront products. Feel free to drop in and ask your questions on ISA Server/Threat Management Gateway, Forefront Unified Access Gateway, Forefront Protection for Exchange/SharePoint/OCS, Forefront Endpoint Protection, Forefront Hosted Filtering for Exchange, Rights Management Services. 15% Discount at TechEd for microsoftNOW readers! 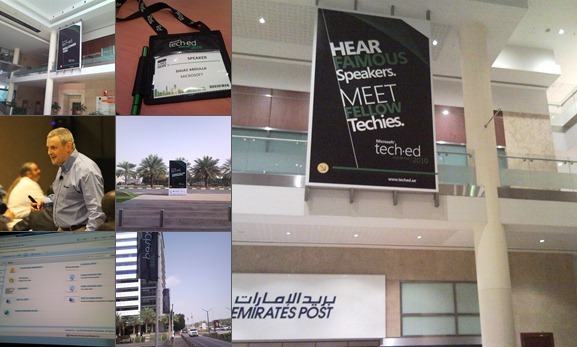 I am pleased to announce a 15% discount on registration fees at TechEd Dubai for all readers of my blog. To make use of this offer, use the promo code 52F42DC3 while registering. Hurry, this is valid only for the first 100 registrations. I posted earlier about Microsoft Tech·Ed. It is the premier technical education and networking event for any technology professional interested in learning, connecting and exploring a broad set of current and soon-to-release Microsoft technologies, tools, platforms and services. Only Tech·Ed combines knowledge, expertise, inspiration, connections and friendship… all at the one event. 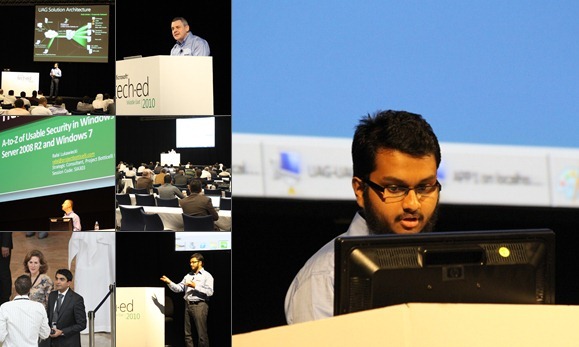 Immerse yourself in 3 days of intensive technical learning and discussion at Tech·Ed Middle East 2010. No other event provides such in-depth knowledge in such a short time. Register before January 31, 2010 and save US$130 on your registration fee.